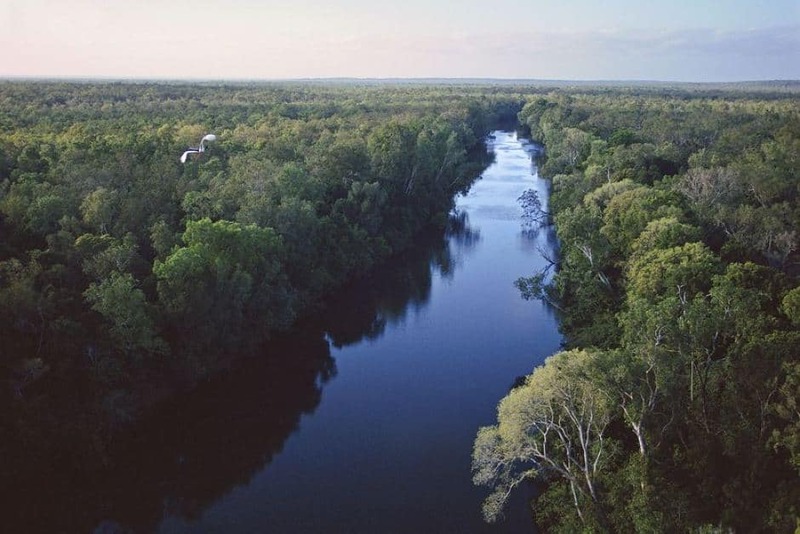 In a significant win for the protection of Cape York Peninsula and the rivers of northern Australia, the Queensland Government has announced that the Steve Irwin Wildlife Reserve and the Wenlock River on Cape York Peninsula will be protected from mining. The Wenlock catchment is an extraordinary place, containing natural and cultural values of World Heritage quality. The river ranks number one nationally for freshwater biodiversity, is a haven for endangered species including the Freshwater Sawfish and Spear-toothed Shark and rare rainforest environments. This is partly because the Wenlock system contains a rare system of freshwater springs which replenish the catchment during the long, harsh dry season, when most rivers in northern Australia cease to flow. The Steve Irwin Wildlife Reserve and Wenlock faced a number of mining threats which have been ruled out by this announcement. In particular Cape Alumina’s Pissolite Hills mine, which would have involved the clearing of 6500 hectares of tropical savannah woodland, dredging the nearby Port of Musgrave and the destruction of some of the most significant of the springs. This is great news for the Irwin Reserve and the Wenlock River. The Wilderness Society has campaigned for this area to be protected for several years and helped secure the Wenlock Basin Wild River Area declaration in 2010. If it wasn’t for Wild Rivers and the buffer zones Wild Rivers contains, Cape Alumina might have already had a bauxite mine in this sensitive area. But significant threats remain for Cape York. The Wenlock decision coincides with the Queensland government’s announcement of the draft Cape York Regional Plan. Open cut and strip mining is ruled out from 32% of the Cape in the draft, but the Plan does not afford these protections for other rivers and landscapes, stripping away existing protections from current Wild River basins of the Archer, Stewart, and Lockhart, as well as World Heritage standard values throughout Cape York Peninsula. Under the draft Plan, more than 50% of the Cape is to be opened up for mining and land clearing for broad scale agriculture and dams. That’s why we will continue to campaign for the protection of Cape York Peninsulas incredible landscapes and wildlife, so that they can eventually receive World Heritage protection for future generations.